Using his nearly four-octave range voice, Tom Kenyon has created an engaging and powerful experience for inner transformation. Drawing from ancient Egyptian alchemical practices, these five meditations allow you to transform excess life-force (sekhem) into increased spiritual awareness. Egyptians symbolized this potent power of spiritual illumination as the uraeus, a stylized serpent in the head. It was often depicted on the headdresses of gods / goddesses and important personages. However, Initiates in the ancient mysteries understood that it was also a symbol for the movement of sekhem into the highter brain centres. These simple, yet powerful, practices are highly beneficial for both beginning and advanced meditators. 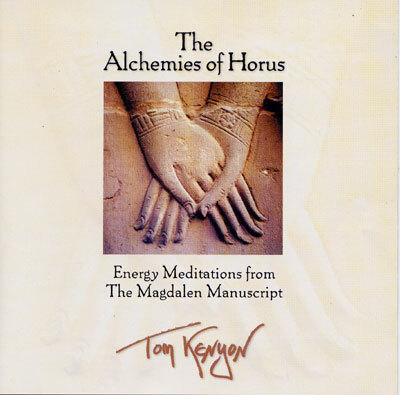 These energy-mediations have been taken directly from The Magdalen Manuscript, Tom Kenyon and Judi Sion." These simple, yet powerful, practices are highly beneficial for both beginning and advanced meditators. Now rereleased as "Mary Magdalen Energy Meditations".